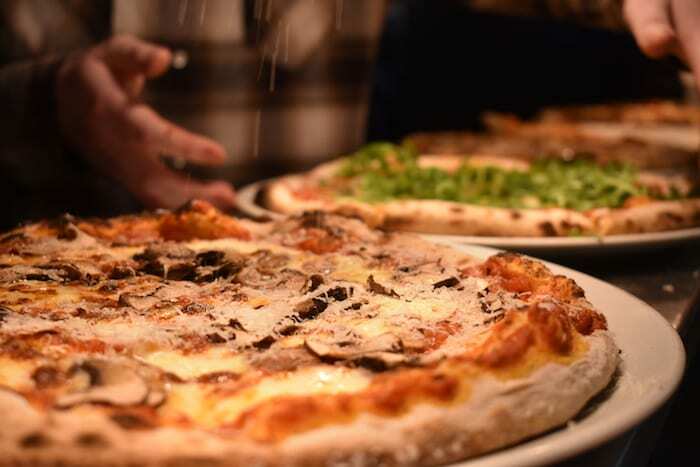 It’s no secret that Manchester has loads of great places to satisfy your pizza cravings – places like Rudy’s, Crazy Pedro’s, and Noi Quattro to name a few. 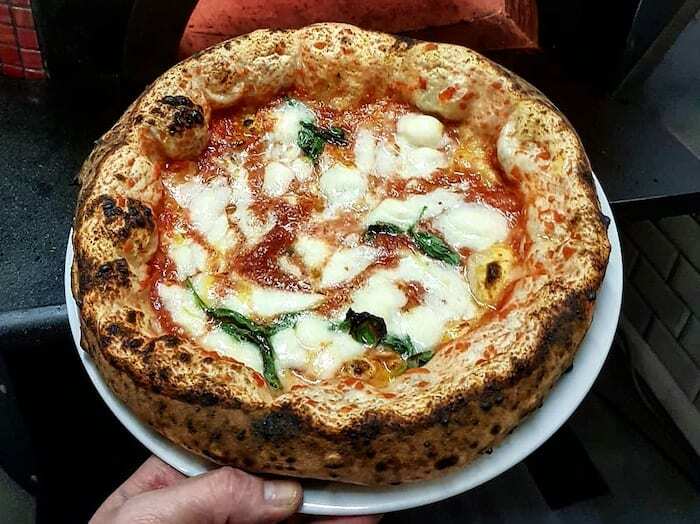 But to mark National Pizza Day on Saturday 9th February, we decided to feature some you may not have heard of and some that serve great pizza but don’t specialise in it. This pizzeria in the Northern Quarter provides a relaxed atmosphere for you to tuck into your pizza, or you can choose to takeaway instead. With a choice of regular or gluten-free bases, the pizzas are made from slow-rising sourdough and the team point out the combination of slow levitation and blast cooking creates the sort of edge that doesn’t deserve to be discarded. 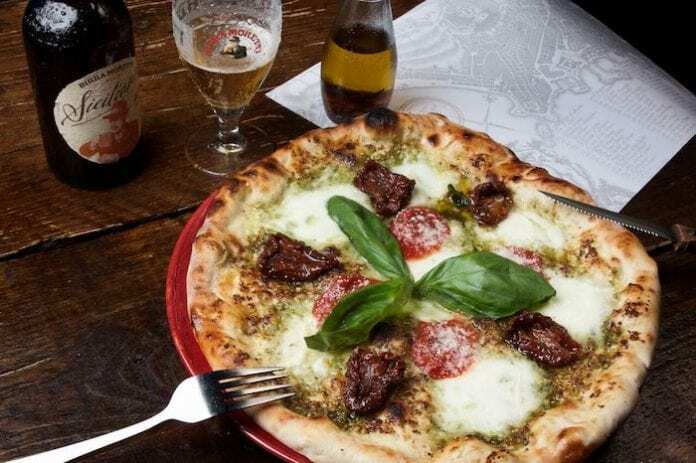 There’s an extensive range of pizzas including the We Mama special made with San Marzano tomatoes, fiordilatte mozzarella and Parma ham, and the friarielli (wild broccoli) white pizza, alongside a range of Italian wine and beer. A self-described ‘guilt-free takeaway,’ Zad’s serves up vegan pizza from their site in Chorlton and they get rave reviews from satisfied customers for their efforts. Options include the Fiery Zadras that’s topped with soya chunks marinated in madras sauce and jalapenos; the Seitan BBQ with spiced seitan and mixed peppers; the Pig Save pizza, where 50 pence from each purchase is donated to local animal and vegan charities; and then there’s this month’s special, the Katsu Curry. 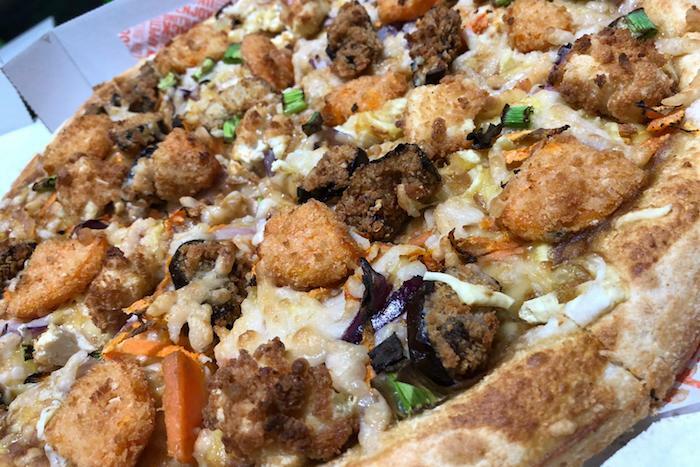 Fast food pizza that’s full of taste – minus the fatty content – is a winner whether or not you’re vegan. 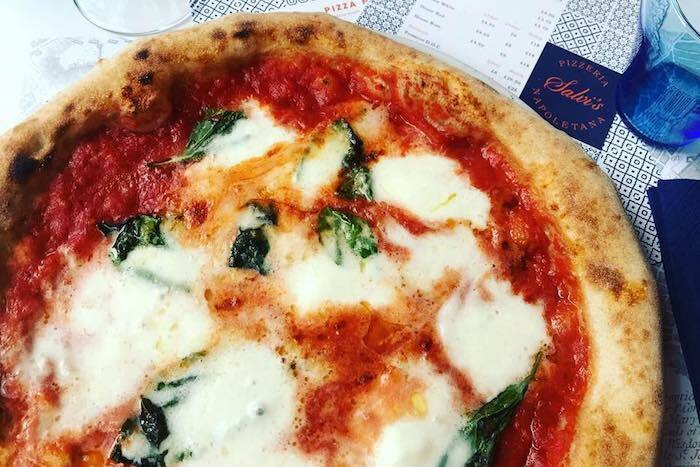 Although this isn’t technically a pizzeria, the sourdough pizzas go down a treat with customers at this city centre restaurant. Aside from the Margherita, the team’s swapped the traditional line-up for options such as Wild Mushroom and Truffle Oil; Goat’s Cheese, Spinach and Egg; Air-Dried Ham and Barbers Cheddar; and the Beef, Lancashire Blue and Red Onion. 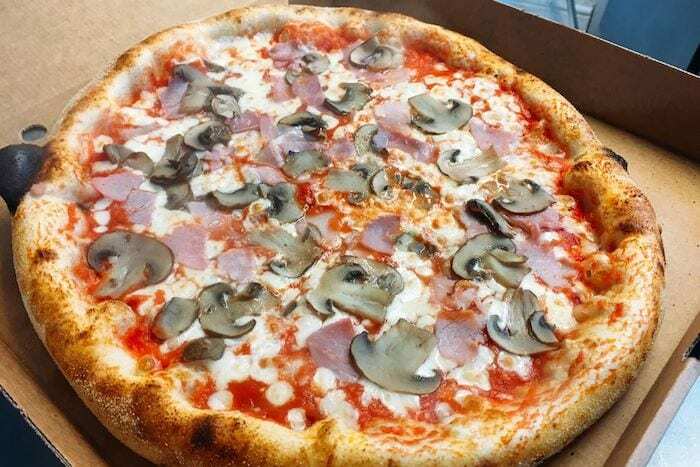 If you’re looking for an end of week blow-out, there’s Giro Pizza each Friday lunchtime where you can fill yourself up on as much pizza as you want for two hours, priced from £9. This restaurant is tucked away on a street in Ashton-Under-Lyne and has gained a loyal following over the years. There’s a choice of around 10 pizzas, including the Regina, Marina, Puccini and Picante. Family-friendly and a favourite for groups, you might not happen to be passing but it’s worth making the effort for the warm welcome, top-notch service and traditional menu. Look out for the lunchtime special with pizzas priced from £7 available Tuesday to Saturday. Rather than spend a ridiculous amount of money on a nondescript pizza from one of the nationwide takeout joints, try Taste It in Salford. The independent Italian takeaway produces authentic, delicious 10-inch pizzas for less than £8. There 18 options to choose from, including classics such as Cotto e Funghi, Primavera and Capricciosa, along with the Sorrento with pistachio and mortadella, and the slightly less Italian sounding Manchester with beef meatballs, pancetta and pepperoni. And don’t deny yourself a delicious gelato for an added taste of Italy. Although it’s known for its live music, you’ll find some great pizza at Matt and Phred’s in the Northern Quarter. 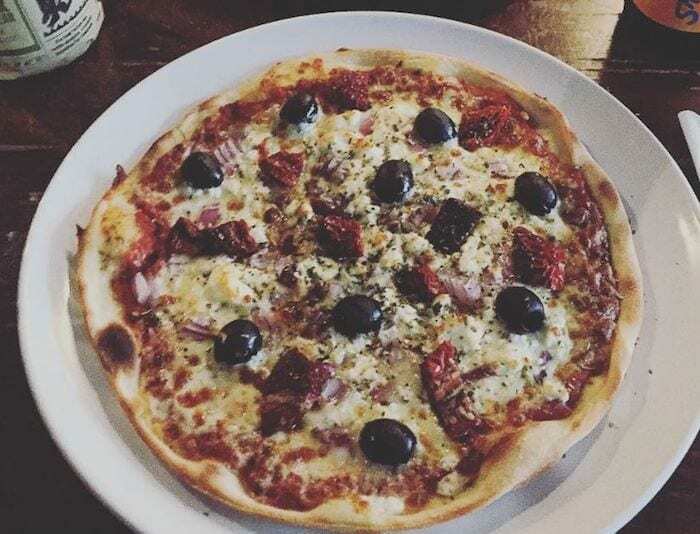 Costing less than £10 each, the menu includes the likes of Cajun Chicken, Greek, Tuscan and Meat Feast options, as well as The Charlie Parker, named in honour of the famous jazz musician, that’s topped with Parma ham and Milano salami. There’s also a Happy Hour every day of the week, where you’ll get a free pizza when you buy two alcoholic drinks. Vero Moderno translates as ‘true and modern’, and this Salford restaurant provides classic dishes with a contemporary twist using cherry-picked ingredients from independent Italian producers. 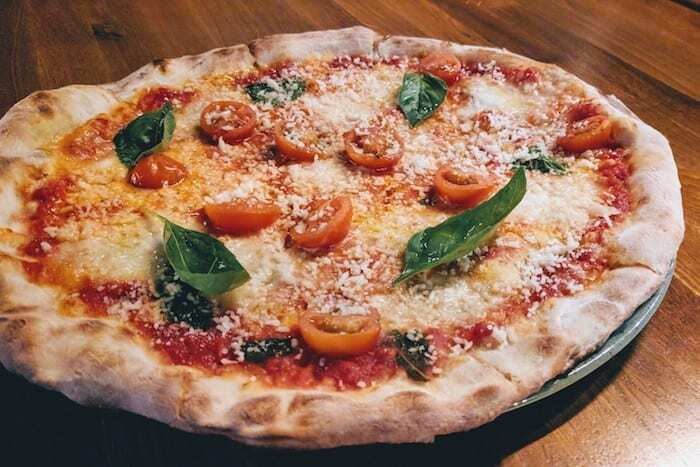 All the pizzas are made using their authentic 48-hour dough recipe, which is characteristic of the true Roman style, the home city of owner, Beppe. Choices include Quattro Formaggi, Bufalina and Campione that’s layered with creamed butternut squash, gorgonzola and smoked pancetta, while the chef’s special changes weekly. On Tuesdays it’s Pizza and Prosecco night when two pizzas and a bottle of Prosecco cost £30. Owner Maurizio was prompted to open a deli in response to the friends who’d ask him to return from trips to Italy armed with delicacies for them. 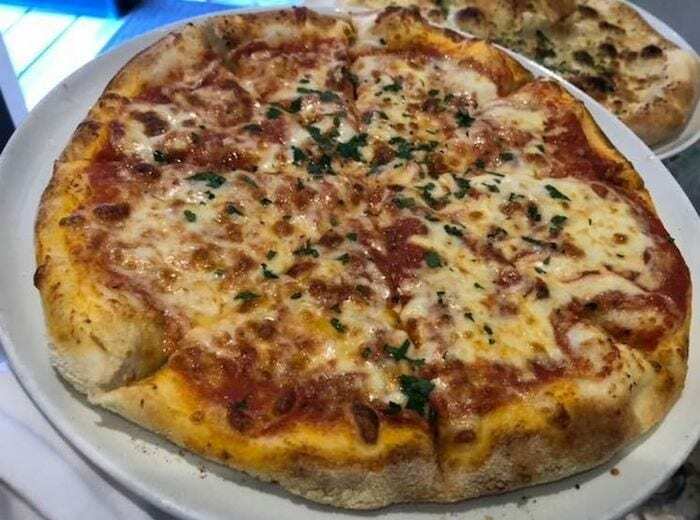 Salvi’s has since expanded and one of their venues is the small Salvi’s Pizzeria Napoletana where you can bite into pizza while pretending you’re in bustling Naples. There are rosse (tomato) and bianche (white) pizzas, including the Ortolana with pepperoni and aubergine; Vesuvio with salami picante and nduja and the Napoli topped with anchovies and mozzarella. From Monday to Friday, order any small takeaway pizza for just £5 until 5pm, or have a go yourself at one of Salvi’s pizza making masterclasses.